Add this disturbing story to the list of reasons to never-ever be on Linden Avenue by yourself once the sun goes down. On January 29th, at approximately 1:50 AM, North Precinct officers responded to a 911 call from a woman at North 43rd Street and Linden Avenue North. The victim stated that she was out for a run when she was approached by an unknown male walking toward her. The victim stated that she changed direction to avoid the suspect, but that he grabbed her from behind and knocked her down. He assaulted her while she was on the ground. The victim was able to fight the man, and he ran off toward Aurora Avenue North. The woman was able to call 911 and police arrived immediately. An extensive area search was conducted, including K9, but officers were unable to locate the suspect. Seattle Fire Department responded to the location and treated the victim for minor injuries. The suspect is described as a male with olive complexion, approximately 5′-09″, with a muscular build and clean shaven. He is believed to be around 30 years old. He was wearing a hooded sweatshirt. Detectives from the Sexual Assault Unit are conducting the follow up investigation. Anyone with information on this incident is asked to contact them at (206) 684-5575 begin_of_the_skype_highlighting (206) 684-5575 end_of_the_skype_highlighting. Thankfully, the victim was able to fight him off. Buddy system, you guys. I was out jogging in the Fremont neighborhood at 1am in the morning when I saw a suspicious male that was going the opposite direction turn around and follow me, I looped up and around the block towards Aurora Ave and when I was almost to the corner of 42nd Ave and Linden Ave (just 2 blocks off of Fremont) I was attacked abruptly from behind and slammed to the ground. The attacker tried to get my pants down and reached inside them and grabbed my thigh, causing lacerations with his nails. At this time I started elbowing him in the face as hard as I could and screaming. He then slammed my head into the cement so hard I lost consciousness. When I came to, he was gone, I found my cellphone in the grass and called 911. The police responded immediately. I was treated for a concussion and numerous contusions to my face and legs at Swedish Meidcal Center. Description of perp: 5’10”-6′ tall, broad shouldered, darker skinned, clean shaven, wearing dark hoodie with the hood up. Update 2: As you may have heard, there have been other recent attacks on joggers in Seattle. No word on whether or not these attacks are related to the Fremont one. This post originally appeared at our sister site My Ballard. Although tax day is still months away, you can get help with your returns now. The Seattle Public Library, United Way of King County and the American Association of Retired Persons (AARP) are offering free tax preparation services at eleven Seattle library branches. Trained volunteers will be available to answer questions and help prepare personal tax returns. Business tax returns are not eligible for the free service. For a complete list of times and library branch locations, click here. Seattle couple Jake and Cathy Jaramillo hope their blog Seattle Stairway Walks will motivate urban hikers to go explore Seattle’s neighborhoods, from the unique perspective of its many stairways. Peak Park and back, covering 3 miles and 544 steps. And that’s not counting an optional side tour of the usual tourist attractions like the Troll and the Fremont Bridge – adding another 3/4 mile and 86 steps. To say their post is detailed is something of an understatement. They include a route map and tons of information on each notable point along the way. If you ever wanted to know everything there is to possibly know about Fremont’s many stairways, this is your heaven. Fremont resident Nicholas Beach is bringing a little bit of ancient Greece to town with him this February. Nicholas appears as Hermes and a number of other characters in The Odyssey, which launches the 35th Anniversary Season at Taproot Theatre Company in Greenwood-Phinney, just north of Fremont. In The Odyssey, Nicholas and a dozen other actors portray over 85 characters. In this mythic tale of epic proportions, re-told by playwright Mary Zimmerman, Homer’s ancient Greek epic comes alive with mythological monsters, gods, adventurers and one of the most enduring stories in history. Nicholas is no stranger to the Taproot stage. 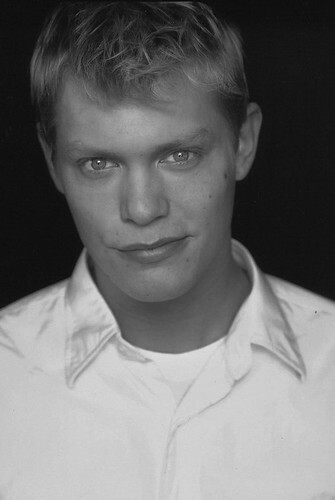 He was previously seen as Tyler Shaw in Donald Margulies’ Brooklyn Boy last March and April. Nicholas received his BFA in Theatre with an emphasis in music from Cornish College of the Arts. He has also been seen in a number of other productions, including Mame (5th Ave. Theatre); Peter Pan, Eleanor and Little Shop of Horrors (Village Theatre); Five Flights, The Beggar’s Opera, Peer Gynt and This is the Rill Speaking (Cornish); and Hello, Dolly! (Eastside Musical Theatre). In addition to The Odyssey, you can catch him in Village Theatre’s Production of Jesus Christ Superstar this spring. 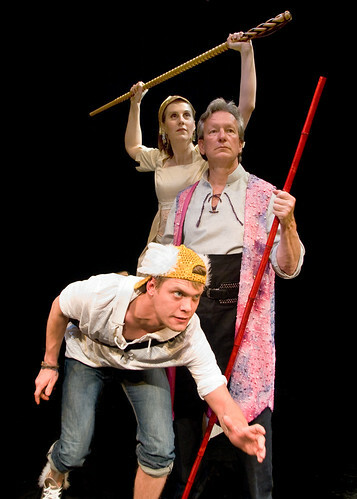 The Odyssey—an adaptation based on Robert Fitzgerald’s translation of Homer’s poem, and directed by producing artistic director Scott Nolte—kicks off Taproot Theatre’s 2011 season with an opening night on February 4. The production runs through March 5, with previews on February 2 and 3. For more information or to buy tickets, visit www.taproottheatre.org. Starting Saturday, Feb. 5, Metro will make routing and bus stop changes for approximately two dozen bus routes serving downtown Seattle due to the long-term construction in downtown Seattle and SODO. Some of these changes will affect bus routes in the Fremont area. An easy way to figure out how these changes might affect you is by using Metro’s Trip Planner. Enter a travel date of Feb. 5 or later to find the updated service. Northbound trips on Route 16 will leave downtown Seattle from new bus stops near the Colman Ferry Dock on Alaskan Way. There is a trip deletion and schedule changes for the Route 45. There are schedule changes for Route 46. New Route 309 will connect Kenmore with First Hill via Lake City and South Lake Union with commute-time express service. In downtown Seattle, there are other bus routes shifting from First Avenue to Third Avenue; from Third Avenue to Second/Fourth avenues; and new bus stop locations on Third Avenue for several routes. This affects local routes traveling into downtown, including the routes 15, 18, and 81. Route 99 will loop to travel north on First Avenue and south on Alaskan Way, and buses will no longer be “wrapped” to look like the old waterfront streetcars. You can find out more information about the construction and bus route changes here. For information about all the services Metro provides, visit Metro Online or call Metro Customer Information at (206) 553-3000. Fremont Parking Rates To Remain At $1.50/Hour. Rejoice! On January 14th, we heard about rising parking rates all around Seattle, including a $0.50/hour hike here in Fremont. Yesterday, word came down that the City Council wanted to put those rates under review before they went into effect. Rising rates in some neighborhoods might have negative effects on local businesses and they want to conduct their own analysis. Fair enough. Late yesterday the SDOT came back with their own modified rates after some deliberation. While some of the major traffic neighborhoods downtown will still see their rates climb, a few other neighborhoods are seeing those rate increases go away. Fremont is one of those neighborhoods. Fremont’s parking rates will remain at $1.50/hour rather than rise to $2.00/hour. That keeps Fremont parking rates level with nearby ‘hoods Ballard and University District. I don’t know which one of you complained but good work. The City Council is tentative in its approval of these revised rates since they remain very high in certain neighborhoods. As far as Fremont is concerned, however, it’s a win. The weather’s been warmer the last couple days but otherwise, it’s been chilly. 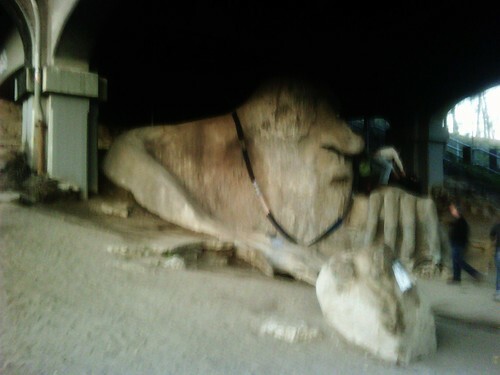 Glad to see the Fremont Troll is all scarfed up. The best thing about Uneeda Burger? 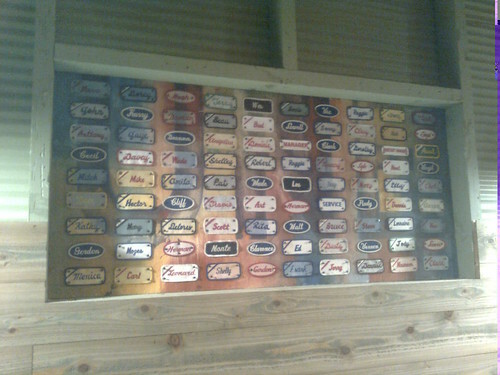 They answered the age-old question, “What am I supposed to do with all those nametags on the Table O’Nametags at the Fremont Sunday Market?” Now we know. Seattle Public Schools is holding a series of community meetings about proposed changes to its Transportation Plan for the 2011-12 school year. The first meeting is from 7-8:30 p.m. tonight (Thursday) at Aki Kurose Middle School, 3928 S. Graham St. The second meeting is from 6:30-8 p.m. next Thursday, Feb. 3, at Hamilton International Middle School, 1610 N. 41st. The third meeting is from 6:30-8 p.m. Wed., Feb. 8, at Chief Sealth International High School, 2600 SW Thistle. The proposed Transportation Plan changes would save the district $4 million by creating new Transportation Zones for bus routes for attendance area elementary and K-8 schools. This article originally appeared on our sister site Queen Anne View.